These horoscopes are written for the New Year. 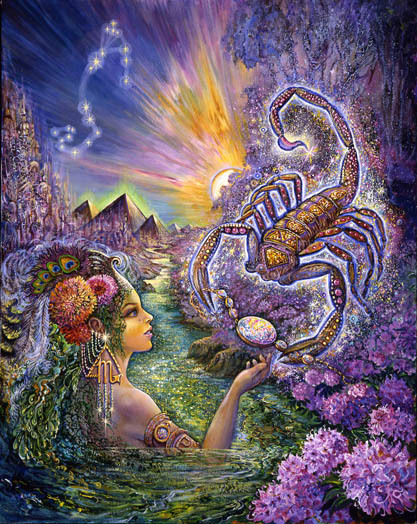 They define, from my perspective and the perspective of your solar chart, what the year ahead has in store for you. Please read them for your Ascendent sign AND your Sun sign. If you don’t know your ascendent sign e-mail me and I will sent it to you – if I have it. I have it if I’ve interpreted your chart in the past. Hope 2016 is wonderful year for you. I like the feel of it. Big changes, shifts, and breakthroughs. Please stay in touch and thanks for being such loyal readers! This is a Harvest year for you – a time when you are able to manifest outwardly what you’ve worked long and hard to develop inwardly. You may have become especially skilled as a diagnostician, able to identify “the cause” and apply the most effective cure. You have discovered that skillfully protecting your financial interests is critical and may have secured what is most needed to stabilize and support you. Now it’s time to consciously reinforce a firm and unwavering belief in yourself. This year you will have the opportunity to dispassionately cut the chords of self-doubt while skillfully removing whatever diminishes your power. You are now capable and prepared to create the kind of future you desire. The door to professional success is wide open. Tricky maneuvering may be part of the picture. Alchemical practices may be added to your repertoire. Wielding magical powers depends on your ability to access reliable sources of collective power. This is the year for trial and error and learning through direct experience. An important lunar eclipse in March changes the nature of your approach to life and how you relate. In March there is a shift in your inner life that changes the nature of your role in relationships. September is a pivotal month where a partnerships (freedom from them or within them) support your expansive vision and belief in the yourself. This is the year when circumstances coalesce to move you through self-indulgent patterns. Addictive habits that surface during fearful, stressful, or depressing times, may be broken forever this year, leaving you free to navigate with dignity, self-control, and growing self-assurance. Relationships may be the catalyst that serve to elevate your existence. Belief in your own power to materialize and surround yourself with abundance is key. You may free yourself of the belief that it’s necessary to manipulate others into providing what you can provide for yourself. This is a breakthrough that illuminates the full scale and breadth of your potential. A new kind of inner balance revitalizes your soul. A nourishing kind of “self-amazement” replaces old fears of instability. Showing yourself what you can do may be the “high” that fuels and accelerates a series of significant accomplishments. This year being of creative service to others motivates you. Internal shifts generate freedom and excitement. March presents you with new, more exciting alliances. May attracts to you whatever you need as long as you relax and breathe. September is pivotal for creative expression (writing), romantic love, and freedom from responsibilities that have become meaningless. 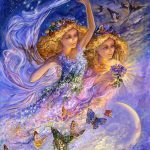 This year opens the door for Geminis to achieve a level of mastery within the realm of emotional loyalty and commitment. Overcoming mistrust, isolative tendencies, and possibly an over-controlling approach to outcomes is now possible. For most of 2016 an energetic “back and forth” between the two worlds of “isolation” and “togetherness” requires continual inner and outer adjustment. The repetitive back and forth refines your ability to shift directions, to be flexible, and endlessly versatile. The ability to make smoother transitions shifts you into a more relaxed state of inner balance. Unconditional love, generosity, humor, and an unwavering belief in yourself is the elixir that transforms, heals, and harmonizes as it delivers unanticipated, far-reaching benefits. Creating personal success around road blocks and detours is fairly easy for you, though you may have convinced yourself that it’s not. 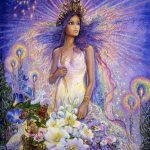 You have an incredibly accurate inner compass, free-flowing connections with inspiration, and highly accessible intuitive guidance. You recognize natural markers and can feel your way to success. You don’t need the directions mapped out for you or the roadblocks conveniently removed. This year your fear of getting lost begins to dissolve. Alliances encourage you to stretch your talents to their outer limits. In March a positive shift in life direction is made possible. 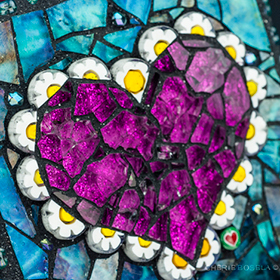 The culmination of a creative effort, born of love, occurs. In September you understand how past experiences have conspired to lead you in the most meaningful direction possible… and your confidence soars. After making some major life adjustments over the past year, 2016 has all the makings of an abundant harvest. Your understanding of the kinds of methods that work for you – particularly regarding health and work issues – continues to grow and evolve. Paying attention to the details, creating order out of chaos, and being discriminating about the responsibilities you choose to take on, may be lessons you’ve learned and wisdom you’ve gained. This year your understanding deepens, and the extent of your progress becomes more obvious. A while ago it was all about treading water and dulling the pain – whatever that took. But now, as you navigate the twists and turns of life, your journey seems more defined by its ability to illuminates and inspires anyone who cares to notice your wisdom-based approach. It is likely that you strive to neither push for change nor resists it. Trust, if not yet fully embraced, will soon become an intricate part of how you deal with life. As you look back you may understand how meaningful and targeted your experiences have actually been. As you look forward, there is a “back to the future” vibe impacting the trajectory of your life. The more progress you make, the more comfortable you become. It may feel like coming back to your spiritual home after a long separation. 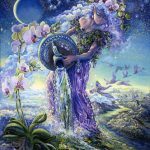 A new Moon in January sensitizes you to future work that must be done to to balance your most significant relationships. 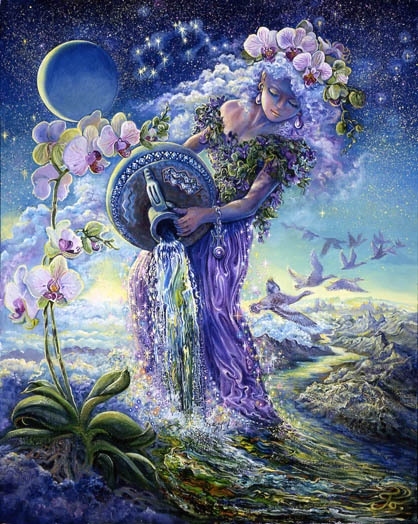 A new Moon eclipse on March 6th shifts your inner life to accommodate a more artistic and imaginative focus. At the end of March the foundation of family relationships shifts. September is pivotal – a time when you discover your ability to move mountains with the focused power of your mind is highlighted. In the past it may have seemed responsible and efficient to ignore your deepest feelings as you focused on the part of you that actually “made sense” – the part of you that looked for the job that paid the most, or the partner who wouldn’t rock your boat. But after hitting a wall or recognizing that your life just wasn’t much fun anymore, your perspective may be changing. This year life decisions require that you take both your heart and mind into consideration as you move toward bringing back the zest and sparkle. The central issue for 2016 is being able to make a commitment to being loyal to your emotional self. 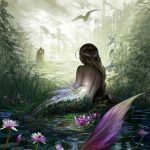 This could be a fortunate development for many reasons – the least of which is the fact that the power to determine the direction of your life comes from a connection and sensitivity to the deepest emotional and soulful parts of your being. As the year begins, deep personal inner shifts make way for new beginnings. Those may be reflected in the changing nature of your approach to work, health, habits, and responsibilities. Personal challenges this year are designed to enhance your ability to recognize which of your goals are inspired from the deepest core of your being – and which are disconnected. Inner wisdom is given the opportunity to grow and thrive as you make time to check in with yourself to notice how you feel. 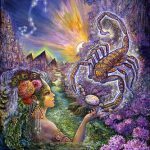 An eclipse on March 6th plants the seed for regaining the power you lost when you were being overly rational. A March 23rd eclipse facilitates the unification of your soul with your mind. That makes life easier. 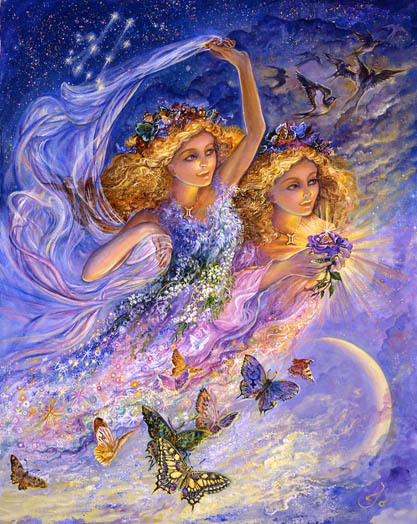 May 21st-June 21st illuminates your inner life bringing new information to the surface. September is a pivotal month when you mobilize your resources as you begin to trust that you may be back in control of your life. This is the year when “removing the mask” is the focus. You may be guided to revert back into the honest, curious, clarity you expressed as a young child. Or you may be in the process of trying to see through the mask of another – playing the role of the counselor determined to know what lies beneath for the purpose of setting them free. Whether it’s you or someone else your freeing, this is a year when “mastery of clarity” can be achieved. There may be a struggle with past familial influences that encouraged hiding and dishonesty. “Go where the pain is” as they say, and you will find the joy that’s currently being withheld. Old beliefs involving your father may need to be transcended and released. Rigid religious beliefs may continue to encourage you to be misguided. Lack of of educational opportunity may silence you. And the belief that life is black and white rather than some vague shade of grey may keep you in a box. Beliefs that belonged to your mother or father or a grandparent may have been handed over to you and internalized. If your father led an honest life but that involved leaving your mother for a woman he truly loved, you may believe that honesty is best avoided. This year you work to unravel and clarify where your beliefs originated and whether or not they belong to you or someone with the power to influence you. If they do not belong to you, give them back. That will make it easier to abandon pretense. As you do, your soul will begin to celebrate, identify more closely with the real you, and stabilize your life. The March eclipses open the door to more satisfying relationships. Past obsessions regarding money or debt may dissolve. September is a pivotal month when hard work pays off and the far reaching benefits of being honest, authentic and free, begin to flow. 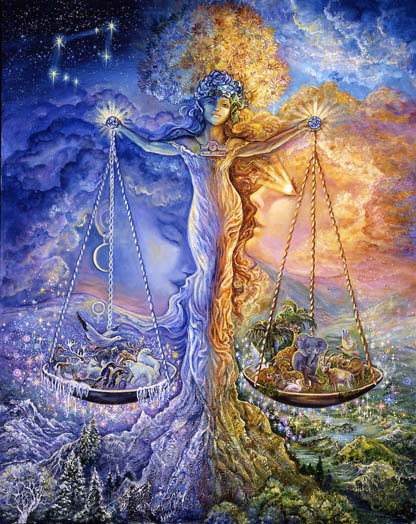 For Libra, the theme this year is surrendering the ego in order to break old restrictive and unhealthy patterns. 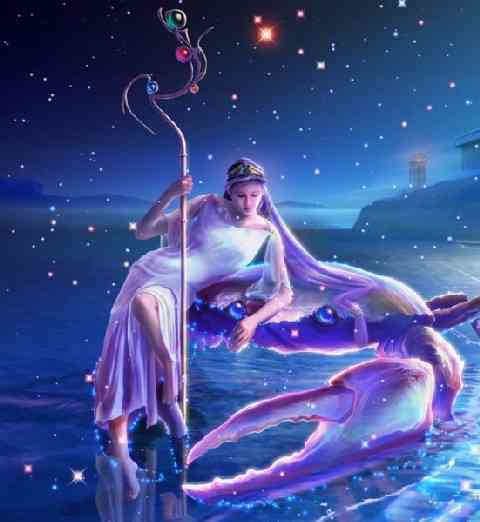 The Libra ego is fed by her involvement in peaceful, harmonious, soothing, and “balanced appearing” relationships. An ego-invested Libra is willing to pay a high price for those. Doing the expedient thing, giving in easily, silencing themselves to avoid conflict, soft pedaling the truth, and pretending that what has become a lifeless exchange actually qualifies as a relationship, is an entrenched form of self-betrayal that serves her well until it no longer does. 2016 seems to be the year when it no longer does. An opportunity for something different is being presented through a series of eclipses that promote helpful inner shifts. The South Node offers an opportunity to “crucify the ego” by surrendering to the wisdom of the higher mind, releasing the need for self-sacrifice, and considering the possibly that the courage to change will resurrect you into a more dignified and meaningful way of life. 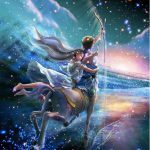 Noting that the year begins with Venus in the inspiring, honest, fun-loving, and adventurous sign of Sagittarius, is cause for great optimism. 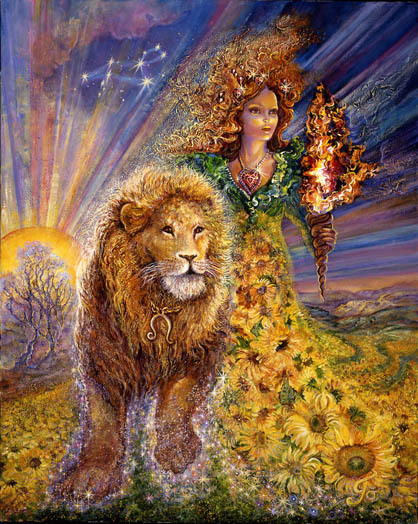 In your solar third house she is making it easier for you to tell important truths as you consider the big picture and get off on the right foot. In March a Libra full Moon eclipse in your solar first house makes it easier to release old relationship roles as inner shifts make way for something new. 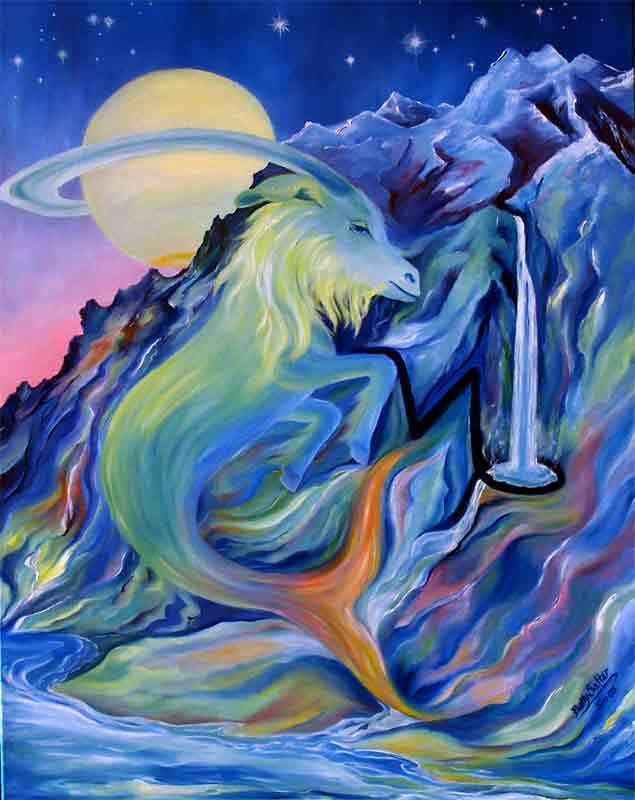 The Virgo North node directs your attention to reconnecting with your emotions and showing them more respect. Mars moves back and forth over the 3rd house cusp for months as you rethink what it is you contribute, your sense of self worth, and old generational beliefs that may skew your relationship with money and love. September is a pivotal month when your progress becomes clear. Most likely you will be freer, feeling the magic, zest, and sparkle returning to your life as you share it with the world. This year the door opens to a higher form of love – a grown up kind of love that is equally fulfilling for both partners. It is a love that is nurturing, inspirational, and clear. It is not symbiotic but expressed from an individual place and extended to the other without self-betrayal or self-diminishment of any kind. It is a love that makes both people feel special and equal to one another. 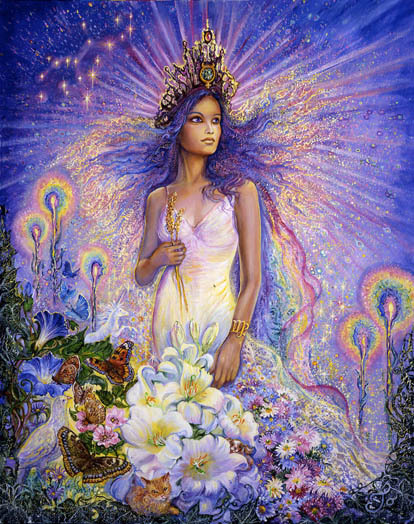 It embraces spiritual love, nurturing kinds of love, and the creative power that springs from Venus, the goddess of love. 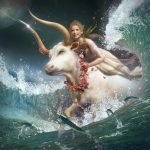 Saturn in your second solar house all year presents a challenge to attracting and expressing this most mature, stable, and highly evolved type of love. The challenge revolves around your sense of self worth and the development of the rare quality of being fully self-possessed. There is the suggestion that money and beliefs you hold about its ability to represent or replace grown-up love has distorted and diminished your ability to achieve it. This year your work involves a complete transformation of your mindset and perspective through a thorough examination of your current beliefs. Knowing what exactly you believe to be of highest value and priority is helpful. The kind of role you play in relationships is deeply connected to how strongly you feel about “owning yourself” as well as your degree of tolerance for self-betrayal. For many months Mars with move back and forth over your 2nd house cusp. You will consider and reconsider the role money plays in your most significant relationships and how your sense of self worth may be defined by it. An obligation to yourself demands that you elevate your “level of play” when it comes to love. 2016 represents the perfect opportunity to focus, transform, and set yourself free to know that grown-up love is possible for you. Anything less, after 2016, is unnecessary. 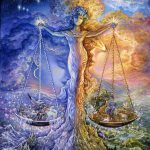 This year, for many months, there is an energetic and significant “back and forth” over your 1st house cusp – the dividing line between conscious awareness and the mysterious world of your unconscious mind. This year’s astrology is a message about freeing yourself from some lifeless form of expression that has become rule-bound, repetitive, and uninteresting. The solution appears to be figuring out how to connect more directly to your inner life so that you can bring some of its precious, powerful, mysterious nourishment into your conscious mind and into your work. Your work may need to be zestier, more alive, less predictable, and, most importantly, a reflection of your originality. 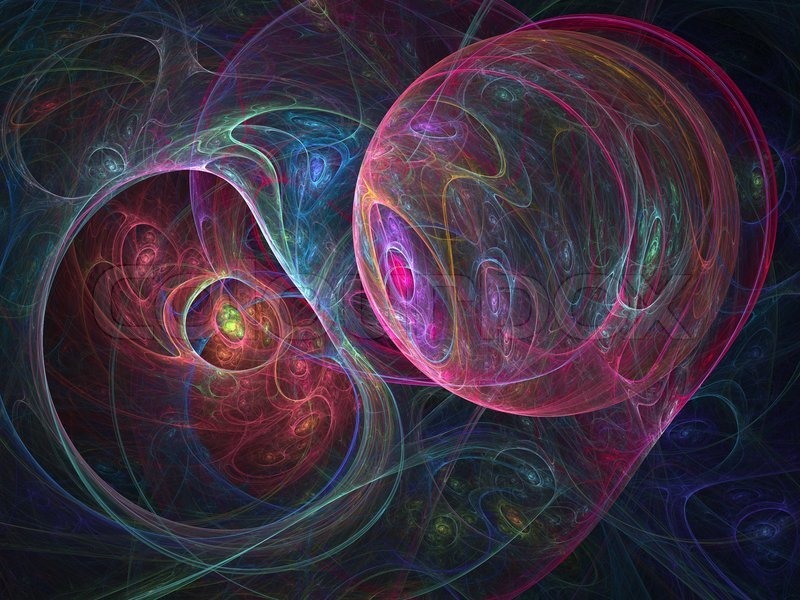 Your resistance to integrating what is unknown may be a vague awareness that your inner life harbors intensity, pain, tremendous transformative power, ugly, socially unacceptable emotions, overwhelming passion, and complicated, sexually explicit, trashy treasures. This is not Disneyland and your unconscious mind is not easily controlled. You need a tolerant creative outlet that allows for something courageous, rebellious, original, hard-hitting, and profoundly transformational. You need an effective method to free submerged material to flow consistently into your awareness. 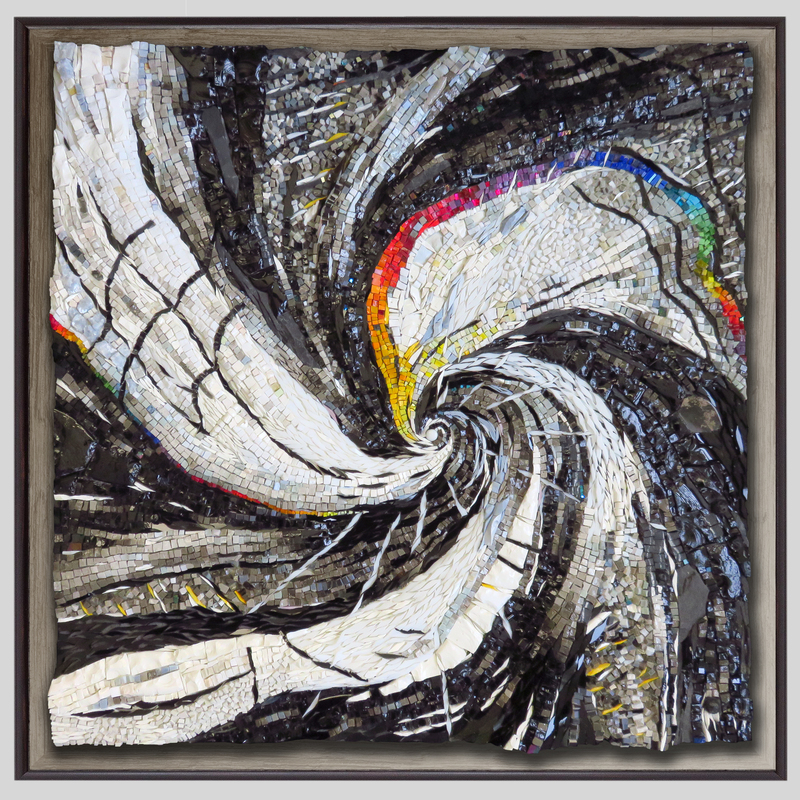 Most importantly you need to release your need for total editorial control over what surfaces and a willingness to re-feel the pain you stashed away – for the sake of your “art.” March brings two eclipses. The first may open the door to a release of old memories. The second may shift the nature of your relationship with your creative process. 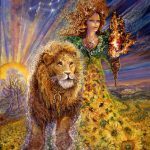 In September you experience some new success as you’re freed and inspired to be even more courageous with hidden power. 2016 is a year when an energetic influence moves back and forth over your 12 house cusp. 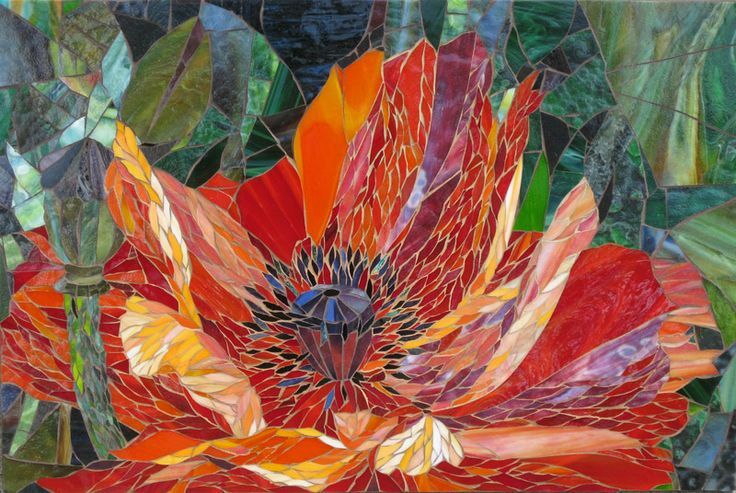 Into your circle of alliances you attract artistic types and begin to more deeply understand the value of an artistic approach to your own life. Like Beauty and the Beast, creative immersion, in the broadest sense, has always been your most effective way of taming the “beasts within.” This year, old beasts may surface again to be banished once and for all. What has always worked for you will work once again. Your challenge is to fight the urge to detach from painful emotions and memories – to be willfully ignorant of what you’re feeling so it does not interfere with an your outdated version of how you should be. You may also have outdated ideas about what your routine should be, and the consistent work you must do to secure your future. This year requires an unusual degree of flexibility and the willingness to change. 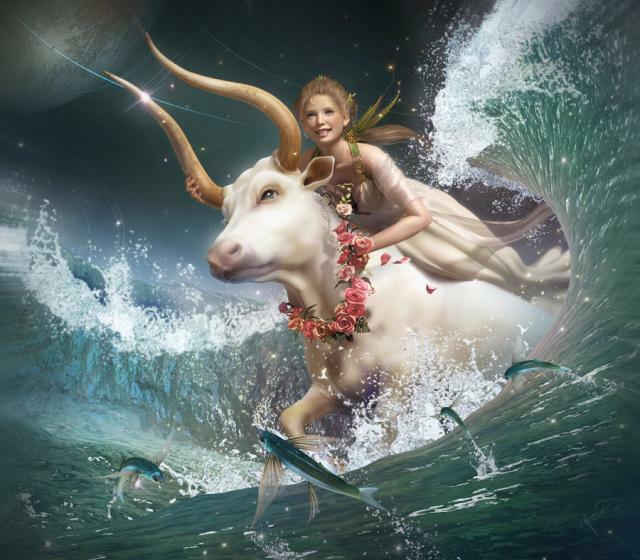 As awkward as it may feel for a duty-bound Capricorn, your best decisions are made when you listen to what it is you feel like doing. What you feel like doing is actually the wisest, healthiest, most efficient choice. Like an artist it pays to know how you feel and what you need in order to keep the creative juices flowing. March brings two eclipses that may shift your professional life and its foundation in some way. After September an abundance of professional success flows your way. A significant, soulful new beginning can be initiated at the end of September. For Aquarians 2016 is the year for getting serious about improving your nutrition. A better diet that strengthens physical health while increasing energy is extremely important. 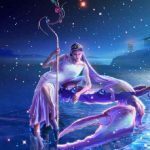 Being an air sign, Aquarius may also be in need of something more nourishing for their mind. Old alliances and relationships may need to be replaced. It may be time to align yourself with those who espouse different opinions, foreign beliefs, unfamiliar philosophies, more thought-provoking ideas, or educated points of view, to revive your relatively uninspired mind. Social activities that used to be meaningful may no longer feel that way. You may need some new haunts, a different forms of exercise, new friends, a different way of relating, or a trip to someplace you’ve never been. Repetitive habits may have dulled your imagination. A failure to adequately nourish your bank accounts and possessions with thoughtful attention and loving care may leave them too depleted and dilapidated to support you. “Phoning it in” where your professional life is concerned, practicing what you’ve already perfected, doing the same thing over and over, expecting that it will produce something different, are distractions your life cannot afford. I’m betting that you’re somewhat frustrated. Most likely you need a “high powered vitamin equivalent” for many aspects of your life. It seems wise to make a serious New Year’s commitment to better nourish the financial/resource part of your life. Everything may just flow in the right direction after that. After an extended period of hard work and self-sacrifice with little to show for it, 2016 appears to be the year when things start moving. 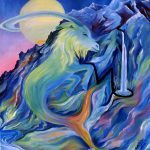 It looks like your career and professional life will be emphasized beginning, possibly, with a new alliance or creative project at the Capricorn new Moon on Jan 9th. A seed is planted at that time that may grow into something professionally significant. The big picture for the year may involve a skillful negotiation that protects your natural artistic style and creative license. A give and take proposition or learning experience has the potential to clarify for you your true worth and value. Most likely your breakthrough comes in the form of realizing that you are more valuable than you had originally assumed and that you have an abundance of talents and resources that could be developed for healing purposes. You now have the freedom to begin something new by aligning yourself with a power source. Fortunately you are no longer resisting what is possible for you and what is possible for the world through you. A new Moon eclipse in your 1st house at the beginning of March shifts your emotional life ways that allows a change in your role. 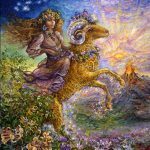 The full Moon at the end of March allows you to function gracefully and beautifully as you navigating through what may feel like a difficult personal transformation. In September Jupiter moves into your 8th house expanding and enhancing your power to expose important healing connections. It is possible than you will benefit from passive income and generously provided support. 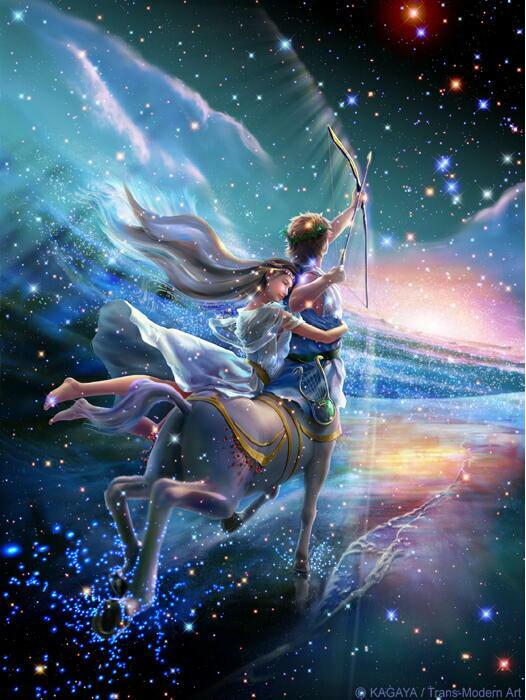 For many months there is an energetic back and forth over your 10th house cusp. It is likely that your career benefits from something you decide to publish and/or an unwavering belief in yourself and your power to transform the world.